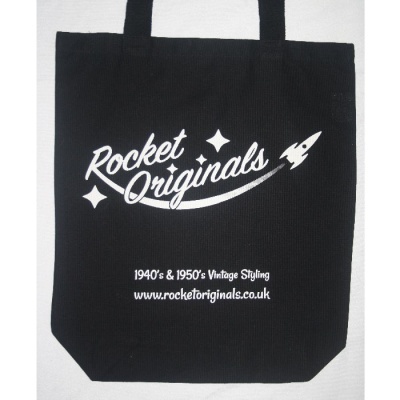 This Rocket Originals’ Tote bag is made from a robust 8oz/250gsm cotton canvas, in black with white logo and text. It has a 10cm bottom gusset that provides extra volume. This is a more substantial bag than standard totes. 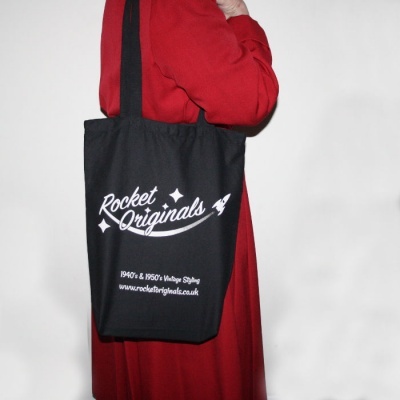 The nice long straps make them easy to fit over your shoulder.